They’re all interesting, but I think I’d choose this one as my favorite. I relate more to classical than modern. 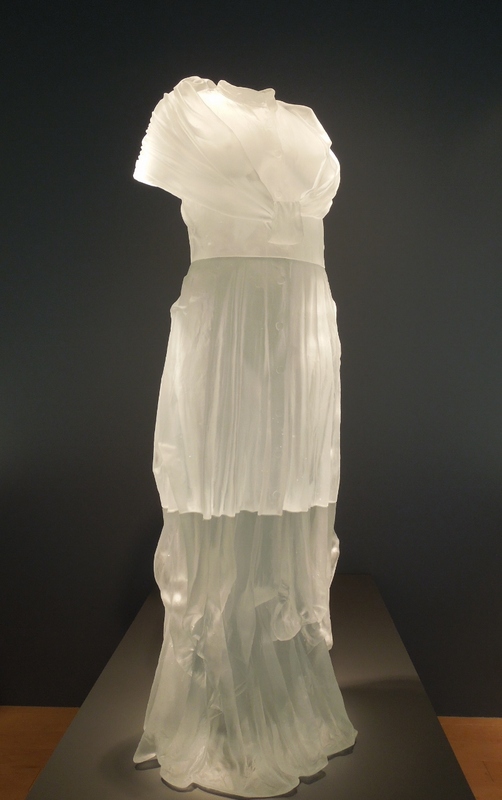 This looked like a glowing Greek statue, and I did not see the body underneath at first. The huge statue of Marilyn Monroe is about a block away. Quite a contrast with this one. Marilyn gets more press, too. What a gorgeous piece. Thanks! Next Next post: Fashion Plates are Pages!